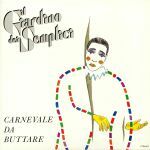 Review: By the time they released "Carnevale Da Buttare" in 1980, Italian combo Il Giardino dei Semplici were veritable veterans. While much of the band's earlier output took a very dewy-eyed, chanson-inspired approach to European pop, "Carnevale Da Buttare" was an altogether slicker, warmer proposition, with the band opting for a sound that sat somewhere between soft rock, blue-eyed soul and synth-pop. 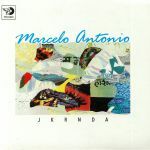 This reissue 12" - the first time the song has appeared on the format, allowing for a much louder cut - pairs the original vocal mix with a fantastic new instrumental rework by Naples-based producer Raffaele 'Whodamanny' Arcella, who's also the son of the group's keyboardist and founding member Andrea Arcella. His take makes a lot more use of the band's original synthesizers, adding some funky touches here and there to give the whole track a much more electrofunk flavour.